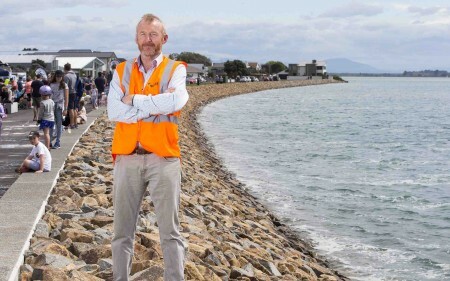 A website telling the stories of the Stronger Christchurch Infrastructure Rebuild Team's mammoth repair programme has been launched. SCIRT’s Learning Legacy Website distils valuable lessons learnt over six years spent repairing Christchurch’s underground pipe networks, roads, bridges and retaining walls. “The SCIRT Learning Legacy website is not only a great source of information for international organisations about being prepared for an event of this magnitude, but also for local people to understand a crucial part of the city’s recovery from the earthquakes,” Lianne Dalziel, Mayor of Christchurch said. The website has been developed by SCIRT in conjunction with the University of Canterbury Quake Centre, UC CEISMIC and Resilient Organisations. It features about 70 stories with more to be added in the next month. “With this site we aim to make the lessons we have learnt available to a wide range of people. We believe the lessons are relevant and helpful to both local and international organisations. “If we can help other communities facing a similar experience, or preparing and planning for one, the site will have done its job,” SCIRT Executive General Manager Ian Campbell said. “Thank you to Christchurch people for their incredible support and patience throughout the past six years. It would not have been possible to successfully complete the programme without that,” Mr Campbell said.